Sarinder has over 30 years of experience in policy and strategic planning, trade negotiations and regulatory and Government affairs. She has previously served in various portfolios with the Ministry of Finance and Ministry of International Trade and Industry of Malaysia (MITI). In the Ministry of Finance, her responsibilities included raising Federal Government loans from the international capital and bond markets and Federal Government debt management. She has also been involved in negotiations in privatisation projects including negotiations of the concession agreements. In MITI, her portfolio included the World Trade Organisation (WTO), Strategic Planning and Free Trade Agreements (FTAs) Policy and Negotiations. In WTO, she was responsible for detailing Malaysia’s position in all sectors of the Doha Round. She was the lead negotiator for Services for Malaysia’s first Bilateral FTA, i.e. Malaysia-Japan Economic Partnership Agreement. She also led the negotiations for Services for the Malaysia-US FTA (which was later superseded by the Trans-Pacific Partnership Agreement signed by Malaysia). 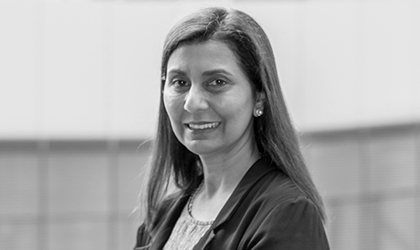 Sarinder is currently responsible for business development activities for PEMANDU Associates. Her previous work in PEMANDU included providing strategic direction on the planning and implementation of the Tourism-related initiatives under Malaysia’s National Transformation Programme. Sarinder is currently responsible for business development activities for PEMANDU Associates. Her previous work in PEMANDU included providing strategic direction on the planning and implementation of the Tourism-related initiatives under Malaysia’s National Transformation Programme. She was also responsible for one of the Strategic Reform Initiatives encompassing three focus areas namely the swift and resolute implementation of the Competition Act, Adoption and Development of International Standards and the Liberalisation of Services. Sarinder was responsible for developing the performance assessment and management system together with the required templates for the performance assessment of all Ministers by the Prime Minister.